To make the process of joining and renewing easier for both members and the club, we have set up an online membership application, joining and renewal process. This is hosted by British Cycling. For further info, click on JOIN above. Jennie, everything you need is on the site here. 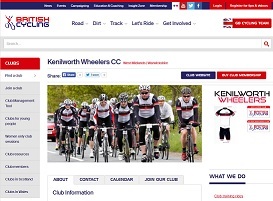 Group rides on Mon and Wed evenings (http://www.kenilworthwheelers.co.uk/runs/) . Always good to start with the beginners ride on the first sat of every month. If you are an experienced club rider then join any of the rides – the best initial club rides would be the sat 9am ride or the mon evening ride.